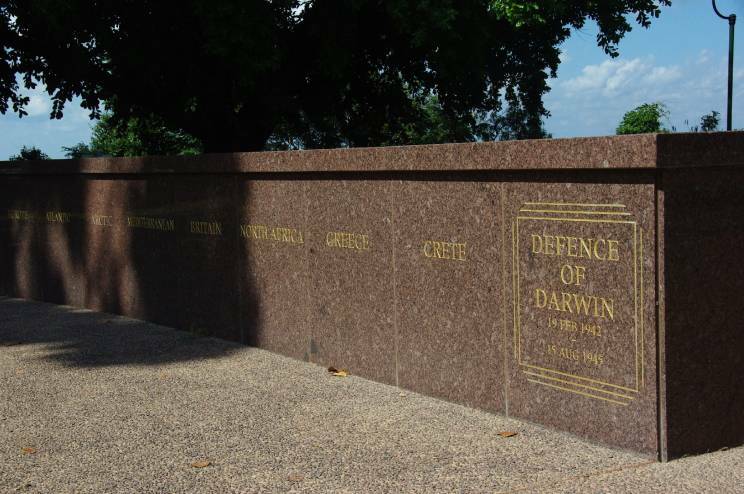 The Darwin Cenotaph, located in Bicentennial Park on The Esplanade in Darwin, Australia. 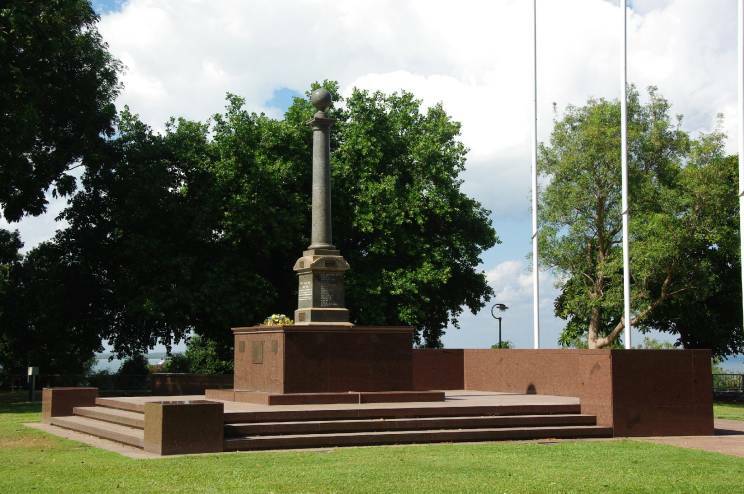 This commemorates the service and sacrifice in all wars and is the focus of remembrance services held each year in Darwin on 19 February (Bombing of Darwin), 25 April (ANZAC Day) and 11 November (Remembrance Day). 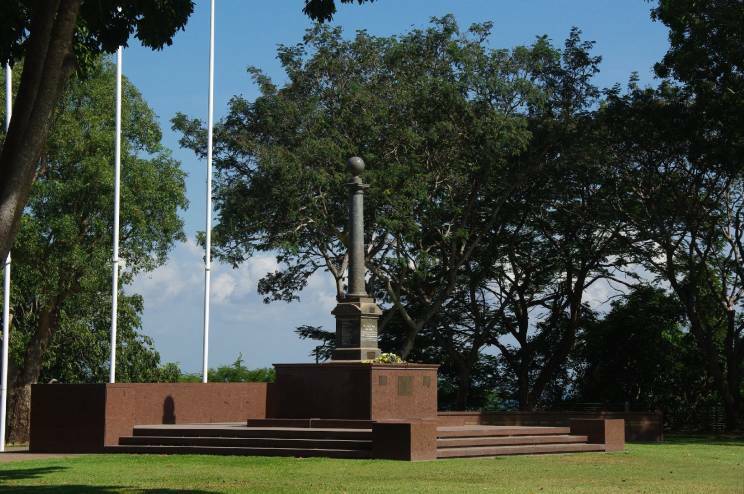 The Darwin Cenotaph is located on the site of the Old Darwin Oval where on 19 Feb 1942 the guns of the 14th Heavy Anti Aircraft Battery engaged Japanese aircraft in what was the first defence against an attack on the Australian mainland. 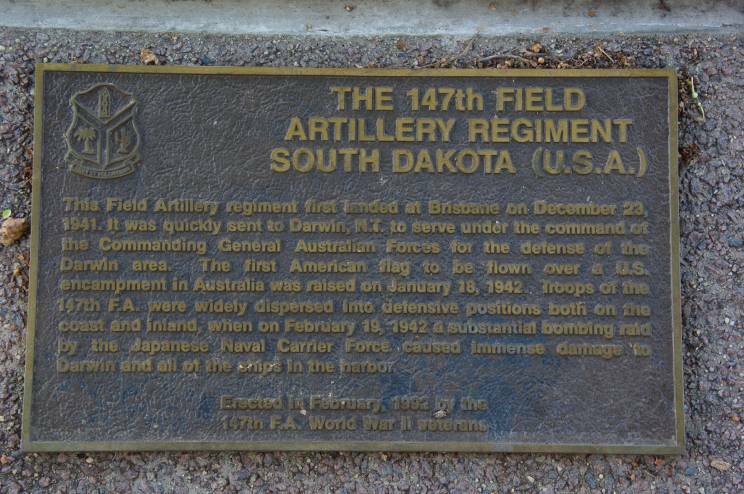 A walkway behind the Cenotaph is lined with about 60 memorial plaques commemorating different units and actions across northern Australia, including that of the 147th Field Artillery Regiment South Dakota shown below. Adjacent to the Cenotaph is a remembrance wall listing some of the theatres in which Australian service personal served. A separate nearby memorial honours members of the Northern Territory Emergency Services. 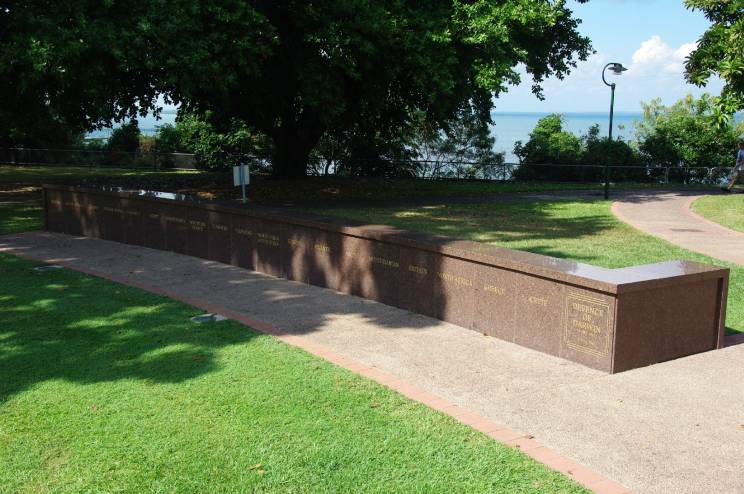 Another view of the Darwin Cenotaph. The plaque for the 147th Field Artillery Regiment from South Dakota, United States.